Join us for Pup & Me Yoga!!! Courtnie, a wonderful South Jersey Yoga instructor will be teaching our Pup and Me Yoga class.The class will be held at the beautiful and private dog park at Country Haven Kennels! Yoga is $10 per person/pup pair (cash or check only please) and proceeds benefit the BooTiki Fund. BooTiki is a local non profit, that helps pet owners who cannot afford emergency medical care and provides wellness clinics in low income areas where pets are in desperate need. Please feel free to arrive a little early so the pups can meet each other prior to getting started! **Please bring dog and people friendly pups only!!! 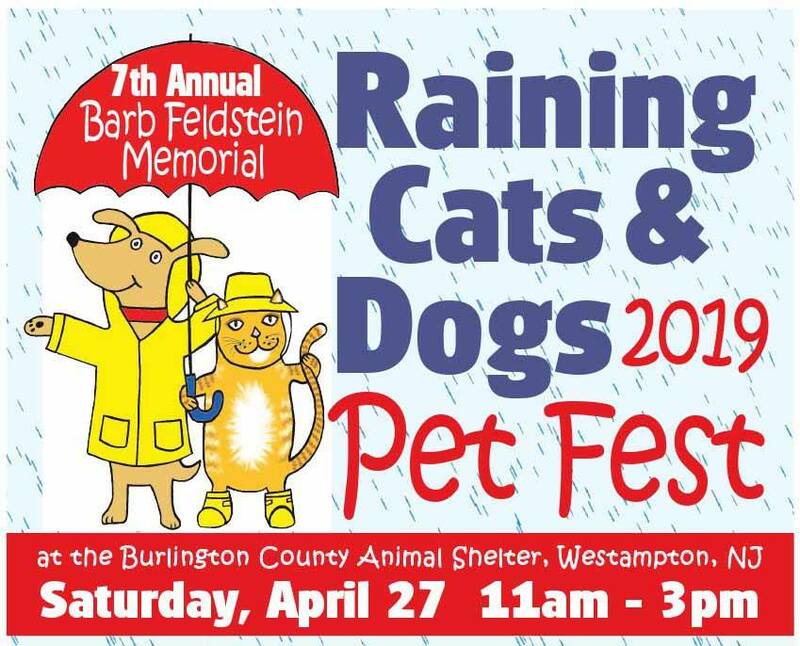 2019 Barb Feldstein Memorial Raining Cats & Dogs Pet Fest!